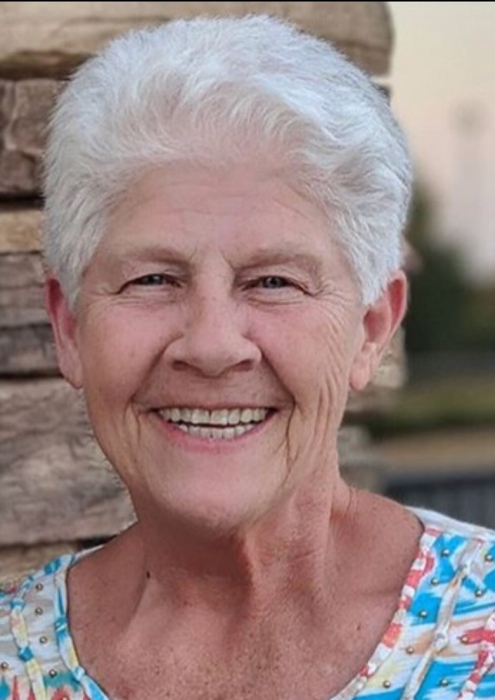 Brenda Bennett Hisel, loving wife, mother, sister, and “Nana”, passed away Thursday, September 6, 2018 at the age of 68. Graveside services will be at 11:00 a.m. Monday, September 10, 2018, at Pineview Memory Gardens with Rev. Ken Blake officiating and Lawrence Brown-Service Funeral Home directing. She is preceded by her father: William Bennett; mother: Emma Belle Bennett; 4 brothers: Leonard, Eugene, Joe, and Franklin Bennett; 1 sister: Sara Bennett Reid; and grandson: Trevor Shipman. Mrs. Hisel is survived by her husband: Gene Hisel; 3 children: Melissa (Jamie) Calvert, Heather (Corey) Cole, Patrick Hisel (Mary Kathryn); 9 grandchildren: Hannah, Celia, Chase, Hayden, Drew, Haley Grace, Addison, Sara, Emma; 4 brothers: William Bennett Jr., Billy (Dorothy) Bennett, Robert Bennett, Johnny (Ann) Bennett; 6 sisters: Edna (John) Driver, Janet (Howell) Stone, Julia Hughey, Shirley (Robert) Stone, Bernice (Richard) Turner, Connie (Jackie) Phillips; and a host of nieces, nephews, family and friends. Pallbearers are: Patrick Hisel, Jamie Calvert, Corey Cole, Chase Shipman, Hayden Cole, Drew Hisel. Honorary pallbearers will be: William Bennett Jr., Billy Bennett, and Johnny Bennett.